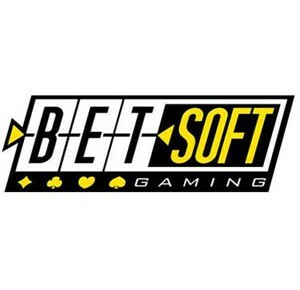 The slot is easy to play, and, like most Betsoft games, you can configure almost everything as you like. It has 30 pay lines, but you can also choose to play with fewer active pay lines. However, in order to have the best chances of winning, we do advise you to play with all 30 of them active. On this slot, you will find a Carolina, who will be danced beside the slot. There also are two gentlemen - Rico and Pedro - and they are both battling the other hoping to win Carolina's heart. Or, at least to get the chance to dance with her. All the other symbols used also have the passionate dance theme. At the Copa is a slot released by software developer Betsoft, has five reels, three rows, and three different jackpots. The theme of this slot is dancing, and when listening to the music used, most people will feel the urge to start dancing the tango or samba themselves! The setting of this game is a dance club at the beach, where you can watch other people dance all night long – or, do you dare to move your hips yourself? This slot has a sensual vibe accompanied by appropriate music both fitting the theme well. How to play At the Copa? The slot is easy to play, and, like most Betsoft games, you can configure almost everything as you like. It has 30 pay lines, but you can also choose to play with fewer active pay lines. However, in order to have the best chances of winning, we do advise you to play with all 30 of them active. On this slot, you will find a Carolina, who will be danced beside the slot. There also are two gentlemen – Rico and Pedro – and they are both battling the other hoping to win Carolina’s heart. Or, at least to get the chance to dance with her. All the other symbols used also have the passionate dance theme. At the Copa has a few fun things you will want to pay some attention to. That is, the slot has free spins, a wild reel which can bring out multiple re-spins, and a dance bonus. In order to reach the free spins, you will need the lady foot symbol to land on your reels in three-fold. If this happens, you will be awarded ten free spins. Before entering these free spins, you will have to pick one of the two gentlemen. The one you choose will function as the wild symbol during free spins. During free spins, there will be a multiplier active ranging from 2x to 10x. Besides the free spins, there also is a bonus game. Do you have the lady on either wheel 2 or 4 and is the lady surrounded by two gentlemen? Then you have just reached the bonus game. You have to pick one of the two to dance with the lady. Durin the dance, the man left out will be rooting for you. Once the dance is finished, you will be rewarded with a great bonus. The wild feature is a fun addition. When the ocean wild lands on the middle wheel, on the middle row, you get a re-spin with a 2x multiplier. If you have a winning combination with that spin, you get to spin again. And this time, the multiplier will be 3x. This slot has relatively small jackpots, but you can still win quite some money with them. That is because winning them isn’t too hard! There is the Suave jackpot, which usual has a sum of two digits and is the easiest to win. Namely, the only thing you need is five peppers landing on your reels.The Mediane jackpot, the middle one, is slightly harder to win but does have a higher prize than the Suave jackpot. For the Mediane jackpot, you need at least five peppers on rows 2 and 3. The Caliente jackpot is the biggest of the three, and also the hardest one to win. In order to win this jackpot, you need five peppers on row 1. Clearly, Betsoft has made it quite hard for you to win the Caliente jackpot. However, it does mean you do not need to meet any requirements to have a chance of winning the jackpot.